Recently, Berowra’s ‘horse paddock’ has been undergoing massive changes in preparation for a new development. 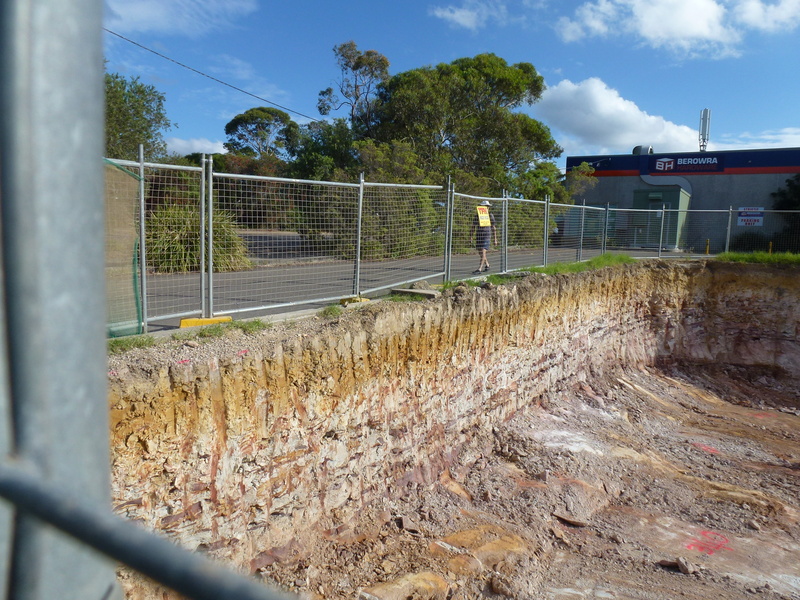 Although many have mourned the loss of the horse paddock, the giant hole in the ground which the development work has left behind offers a rare opportunity for Berowra residents to glimpse ‘what lies beneath’. When Assistant Surveyor William Romaine Govett visited the area in 1829, he was not impressed by what he saw. He described the area as “the whole way covered with an intolerable scrub and . . . bedded with the common sand and ironstones”. This giant hole in the ground gives us the opportunity to see that, not only was he right about being bedded with sand and ironstones, but also to glimpse why what he saw might have been described as ‘intolerable scrub’. There is really not a lot of soil sitting above the uplifted layers of clay, ironstone and sandstone. Native vegetation, including those of a shrubby appearance, would have once abounded here. Perhaps if Govett had visited in the flowering season he might have appreciated the beauty of these shrubs, many of which are included in Berowra’s spectacular floral displays! As for those wishing to plant a European style garden or crop, there was once fierce competition at the Garden Club for a very desirable bag of cow manure!